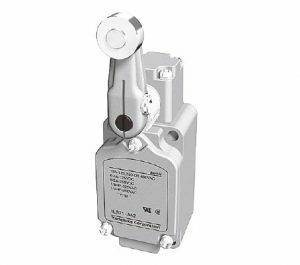 LS Series Spatter Guarded Limit Switches. The spatter-guarded version of the LS series limit switch adds effective countermeasures against the adhesion of spatter. These include a heat resistant resin and paint is used to scatter spatter, Teflon® is used on the shaft, stainless steel screws and roller, the gap between the housing and the lever has been eliminated, and the paint is heat resistant to 120 C. A great choice for casting and welding operations particularly in the automotive industry.